Yuna has been cementing herself in the local scene with complementary comparisons to the likes of Norah Jones and Rachael Yamagata. Her influences include Fiona Apple, Feist, Lykke Li, Sia, Bob Dylan and The Cardigans. Yuna describes her music as "a cross between Mary Poppins and Coldplay". One of the first few people who expressed interest in her music was Farhan Fadzlishah aka Pa'an (Telephony Delivery), who later became her supporting guitarist. Along the way, Efry Arwis (Lightcraft) helped her with the bass while Adib handled the drums. Adil Ali (Seven Collar T-Shirt) replaced Adib after the latter quit to concentrate on his drumming role in Oh Chentaku. Yuna was eventually discovered in the US by the Indie-Pop record label and management company. They flew out to Malaysia to convince her to sign with them and then proceeded to get her a deal with Fader Label, a record label based in New York, in February 2011. She released her debut US EP, Decorate - EP, in the United States in March the same year. In February 2012, Yuna released her second Malaysian full-length album, Terukir Di Bintang. 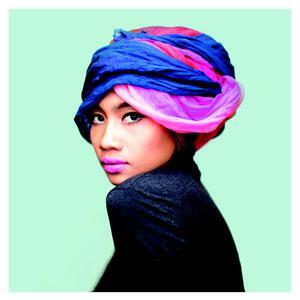 Her self-titled US full-length album, Yuna, was released on April 24, 2012.